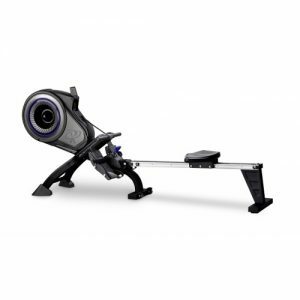 Bring the art of rowing to dry land with the WaterRower M1 LoRise Rowing Machine. 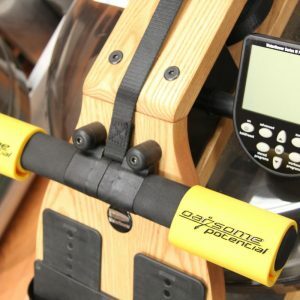 Unlike chain-driven air, or magnetic rowing machines, the WaterRower uses real water as resistance to provide a calorie scorching, all over body workout. The unique water resistance flywheel is controlled by your stroke speed and stays consistent throughout the motion. The result: fluid rowing that recreates the feel, sound, and body benefits of rowing on the river. 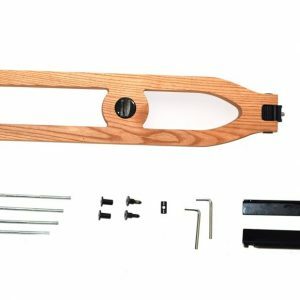 Each and every WaterRower is handcrafted in the United States with the same care and precision as the first machine that rolled off the production line 25 years ago. Across the WaterRower range the machines function the same; it is simply the aesthetics that change to suit different home and gym environments. The frame of the WaterRower M1 LoRise Rowing Machine is constructed from fabricated tubular aluminium, and powder-coated in silver. Built and styled to sit on the commercial gym floor, and arguably more utilitarian in appearance than other Water Rower models, the M1 is a firm favourite of many nationally renowned gym chains. 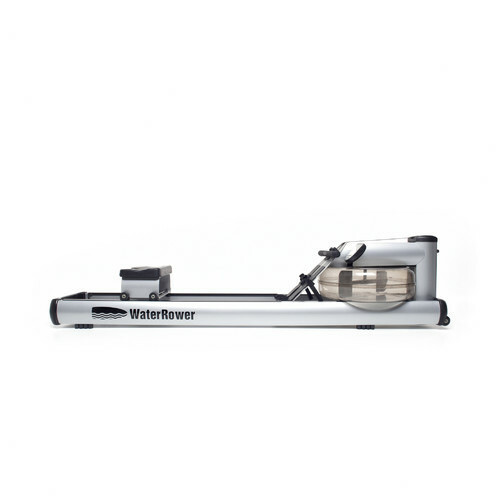 The WaterRower M1 weighs less than 60kg and can easily be moved around on its guide wheels and conveniently stored on end.